Suzan Ball – A sad tale. 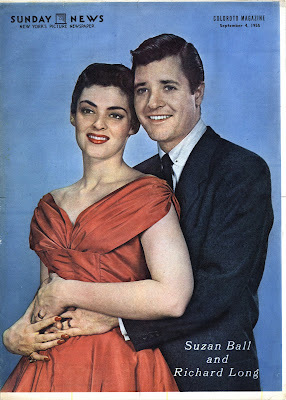 There have been many sad stories come out of Hollywood and Suzan Ball’s is one of the saddest. She had only made eight movies (and in two of those she was ‘uncredited), when suddenly her career and her life were over. Fate chose to allocate her a lot of pain and anguish in her brief life, a life that began in Jamestown, New York in 1934 and ended just 21 years later in California. Suzan was of French, English and Irish descent and the second cousin of comedienne Lucille Ball who also hailed from Jamestown. An accomplished singer, Susan performed with the Mel Baker Orchestra from 1948 until 1953, during which time she signed a standard contract with Universal-International. 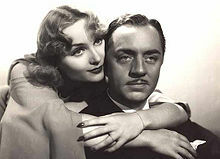 While residing at the House of Seven Garbos, domicile for up and coming actors and actresses, she befriended a Universal contract player named Mary Castle who took her into the studio to meet the bosses. They took one look at the striking girl and signed her. Then the ‘build-up’ began. They placed her picture in every movie magazine, sent her out on publicity junkets for films she was not even in, and made certain she was photographed dating as many good looking young Universal studs as possible. Her screen test opposite a very keen Scott Brady showed she could act well enough. Before long the two were an ‘item’. Universal dubbed her ‘The New Cinderella Girl of ‘52’ and threw her into Untamed Frontier, a western starring Joseph Cotten and featuring the same Scott Brady. The lovebirds even planned to marry at one stage, but all that changed when she fell heavily for Anthony Quinn while filming City Beneath the Sea in 1953. In the picture she sings a song, ‘Handle with Care’ in a waterfront bar and she is very good. The movie is in Technicolor and she looks positively stunning in red. Quinn was already married to CB DeMille’s daughter Katherine, not that his marital status ever interfered with his serial cheating. It must be said, however, that neither Suzan nor Tony made any attempt to conceal their affair. Consequently, the press had a ball with it. Universal told her to ‘back off’. Her response was to tell them to back off. She was besotted with the man, not that she was the first young actress (or the last) to fall under his spell. The romance lasted a year before Suzan came to her senses and broke it off. Quinn simply moved on to another hot and eager young thing. Grass did not grow under Suzan’s feet for very long either. At the Universal commissary she met young actor Richard Long and they soon became inseparable. A decade or more in the future he would gain a modicum of television fame portraying Barbara Stanwyck’s son Jarrod Barkley in the popular western series The Big Valley. It was whilst she was rehearsing a dance number for East of Sumatra (1953) that Suzan suffered an injury to her right leg. She ignored the injury, but a short while after that she was a passenger in a car that was side-swiped and the same knee struck a door handle. It was painful but she still did not see a doctor about it. 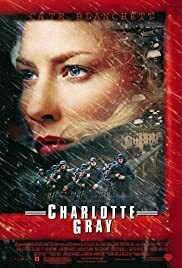 Later that same year she made War Arrow with Jeff Chandler and during the shoot the leg began to give her serious trouble. She reluctantly sought medical advice and was informed by doctors that the limb had developed tumours. When she slipped on some spilled water at home and broke the same leg, Suzan was rushed to hospital and operated on to remove the tumours. The operation was not a success, however, and on January 12, 1954 her leg was amputated. She was still only 19 years old. 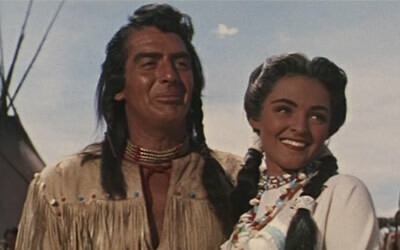 Suzan made only one picture after the amputation, a western with Victor Mature titled Chief Crazy Horse (1955). In it she played Black Shawl, Crazy Horse’s wife. A double was used for scenes that required her to walk. For close-ups in those scenes she would move her shoulders to simulate a walking motion. The producers wanted to replace her with Susan Cabot but director George Sherman flatly refused to do so. To their great credit the hierarchy at Universal rented a sumptuous home to enable Suzan to spend her final weeks in luxury. Her heavy medication played havoc with her personality, turning her into a female Jekyll & Hyde over the last two months of her life. The pressure on her husband was intense. He weakened and slid into a relationship with her nurse, Kay Biddle. It is doubtful if Suzan ever knew. She died six months after her 21st birthday on August 5, 1955. Just a few days earlier handsome leading man Robert Francis, (he played Ensign Willie Keith in The Caine Mutiny in 1954), had died at 25 in a plane crash, and in September, 24 year-old James Dean would be killed in an automobile accident. It was a tragic three months in Hollywood. One can only imagine how Long felt when his beloved Suzan muttered the word, ‘Tony’, as she slipped away, a clear reference to Anthony Quinn. Long had stood by her and devoted every waking moment to making her final 16 months bearable and as comfortable as possible. Most writers tend to regard his last minute lapse with the nurse as a momentary slip brought on by the stress he was under. 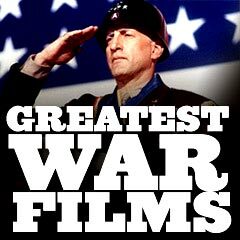 In 1974 he would suffer multiple heart attacks and die at the age of 47. Sessue Hayakawa – Japan’s Hollywood superstar. 1940s & 50s – When singers could sing. To find someone so devoted as Long seems rare, especially in Hollywood! I suppose the movie business has SOME similarities to the outside world, Sheila. There are decent people there like there are everywhere else.